Listening to your favorite tunes while exploring the great outdoors can make the time spent on your machine even more enjoyable. 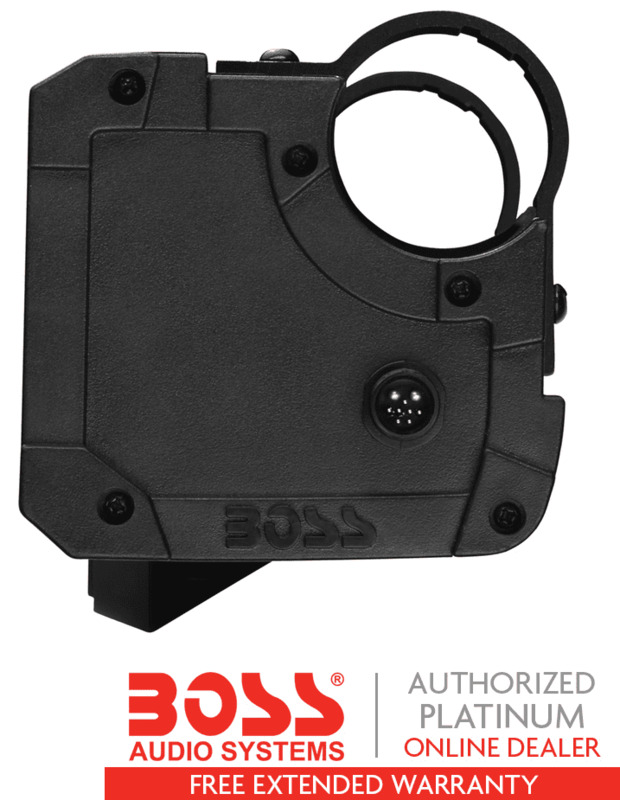 The Boss 34 Inch Riot Bluetooth 10 Speaker Audio System is exactly what you need! 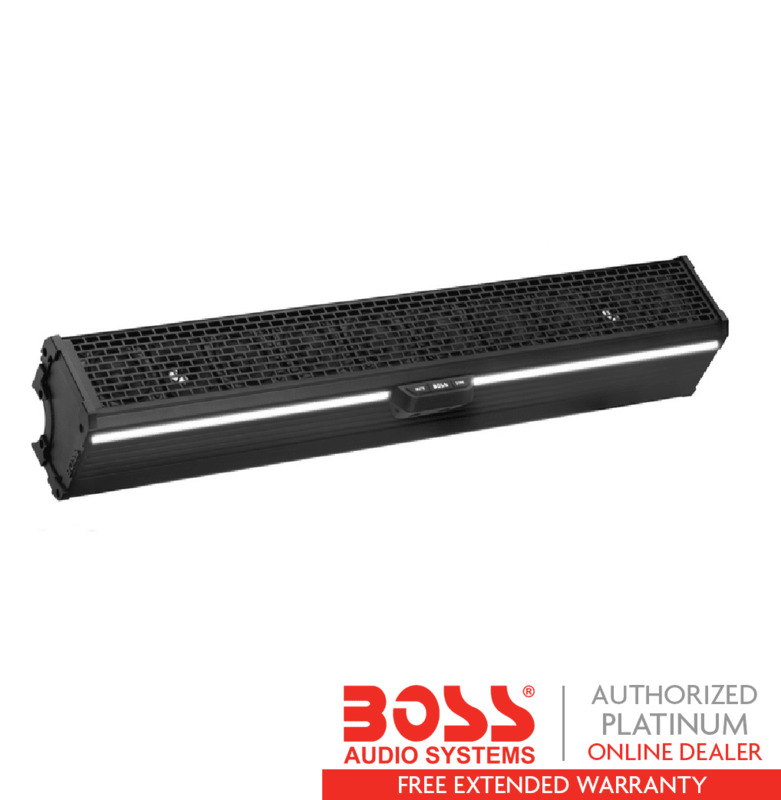 Adding this sound bar to your machine will make you the envy of your friends when they hear the amazing sound quality that this audio system produces. 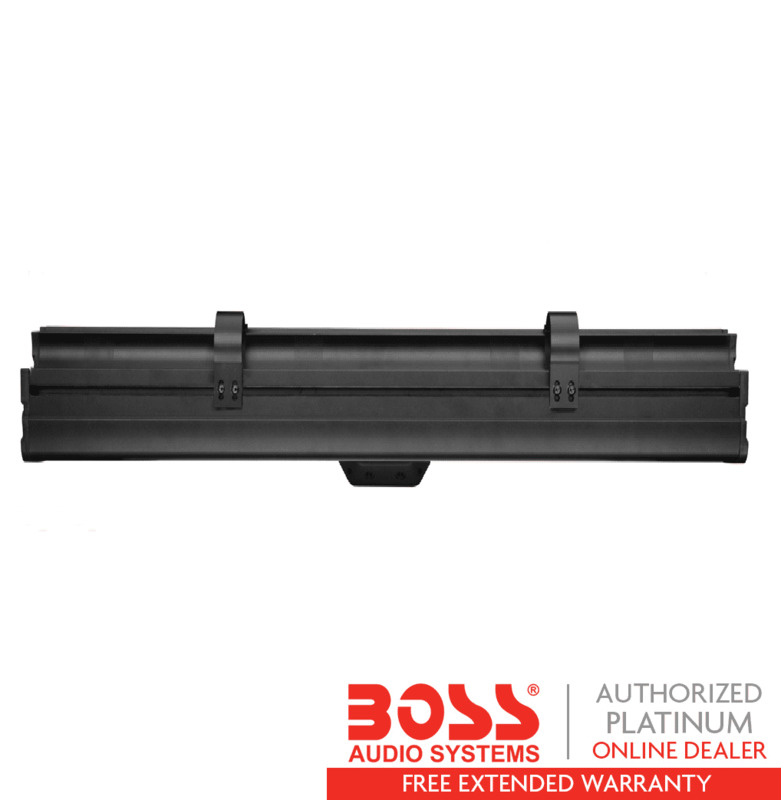 Don't let them be jealous for too long- let them know you got your Boss Audio System from Side By Side Stuff today! 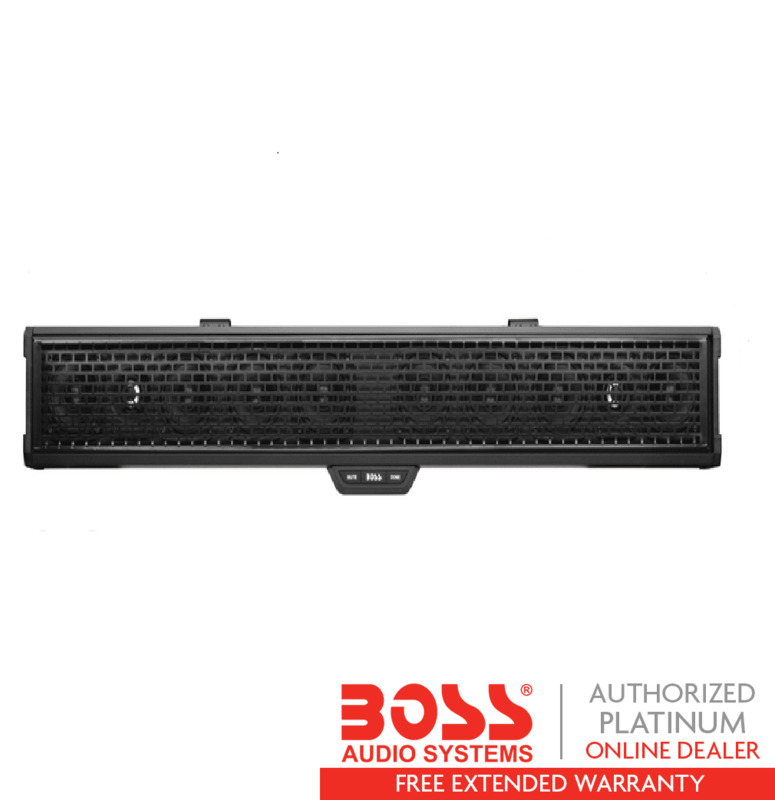 With its 700 watts max built-in Class D amp, 8 full range speakers, and 2 horn loaded tweeters this Boss 34 Inch Riot Audio System will produce top quality music for you and your passengers to enjoy for many years to come. 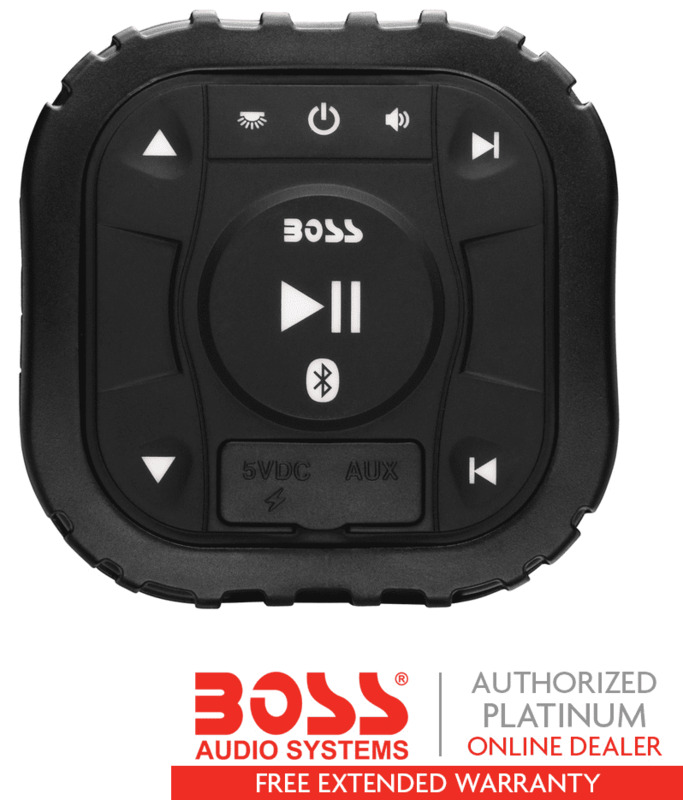 The weatherproof Bluetooth system allows you to stream music from your favorite music apps or hook up your smartphone/MP3 player with the 3.5mm aux input. Multi-angle adjustable clamps fit ATV and UTV bars from 1.5 to 2 inches. However you decide to enjoy your music, this system will not disappoint! OK the good soundbar sounds awesome, looks great and easy to wire. Now the bad, besides the funky bolt system to mount this 34" bar does not fit a Polaris General with out cutting brackets off the front roll bar and cutting 2 plastic hooks off the lock and ride roof. You cannot mount this on the rear bar because the rear bar on a General is not round. Overall I am happy with the sound bar- just wish it had more mounting options so that I would not of had to modify my UTV. Reason I can't give this review 5 stars is because this soundbar really does not fit the 2017 General with modifications done to the roll bar. You have to cut off 2 brackets from the roll cage which most of the time are not used unless some other attachment is used. Then if you have the lock N ride roof you have to cut off 2 brackets from the front plastic spoiler in order to put it back on. I will say that the other posts refer to the awkward bolt up system and it is still this way but I was able to mount it by myself with a couple of straps to hold it up. The wiring is simple and straight forward and the controls are easy to use. 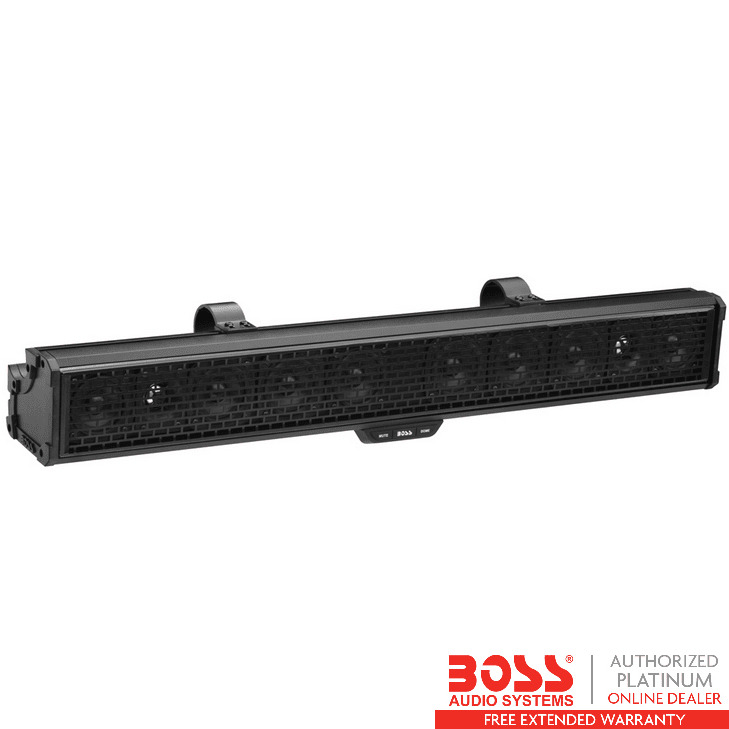 You will not be able to use a mirror that mount inside on the roll bar so if that is a must for you then I don't recommend this soundbar. The sound is plenty loud and clear. There are different mods to choose from to get just enough of bass. I have the MB Quart on my RZR. I wanted to try something different so I went with the Boss sound bar, very impressed! Better then my MB on my RZR. Crystal clear quality and it has a dome light. In my book, insulation was very easy and that was on a Yamaha YXZ 1000R. IT SHIPPED WHEN I WAS TOLD IT WOULD AND ARRIVED ON TIME, SOUNDS VERY GOOD ON MY SIDE BY SIDE. IT WILL TAKE TWO PEOPLE TO PUT IT ON.